Minecraft parties are so popular on our site, I thought I'd share some awesome and inexpensive Minecraft party activities to help your guests have a great time! 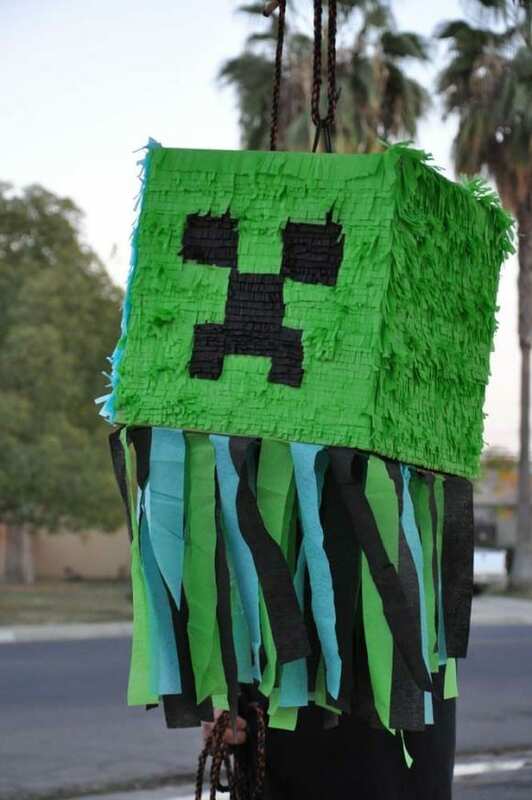 Make a Creeper pinata out of a cardboard box and crepe paper for your guests to break until the candy appears! 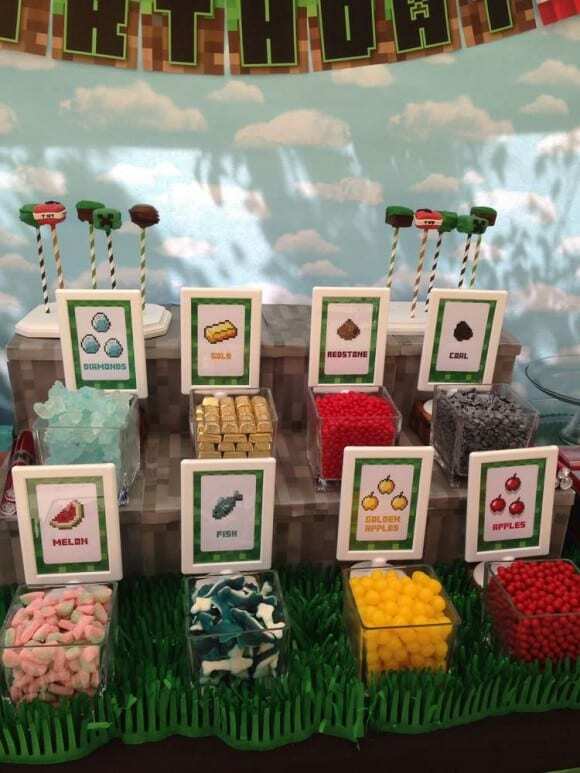 Themed candies work well as Minecraft items to collect, like these fish, diamonds, apples, coal, melon and more! Party guests can brew up their favorite potions for swiftness, poison and more! 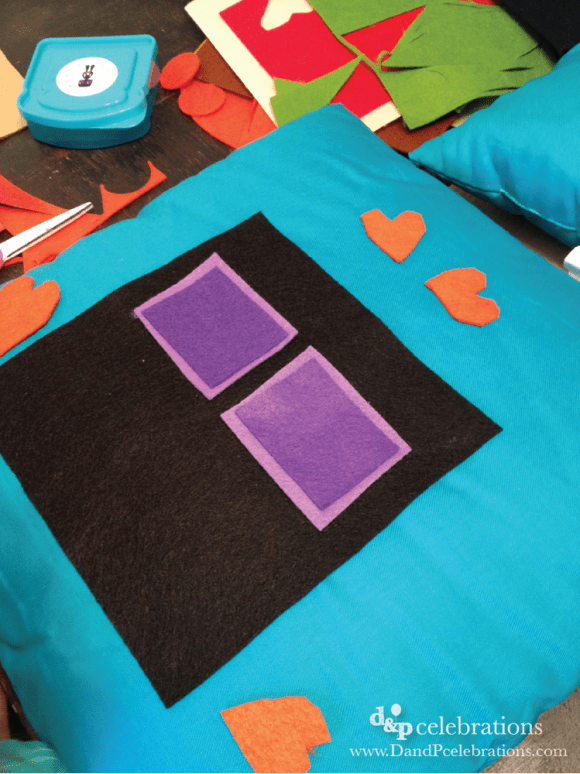 Your guests will enjoy taking a plain pillow and adding felt pieces to make an Enderman pillow! 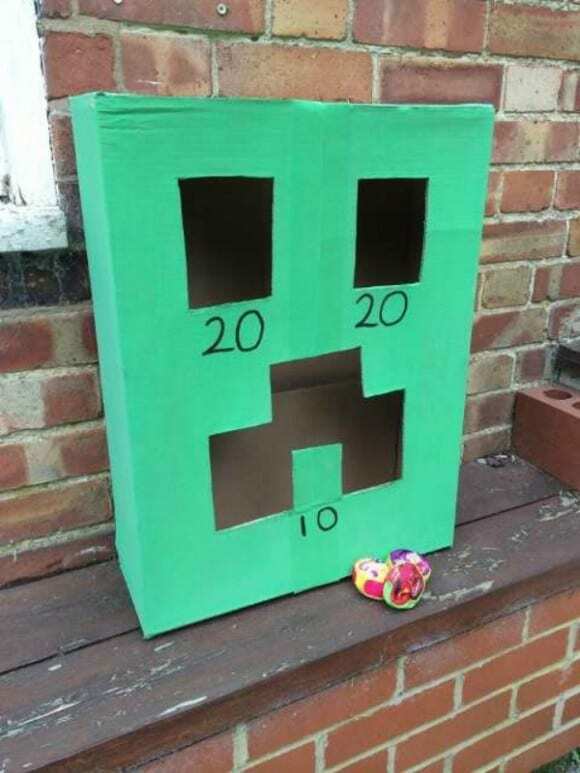 Paint a cardboard box green and cut out the eyes and mouth to make a Creeper to toss bean bags in for points. 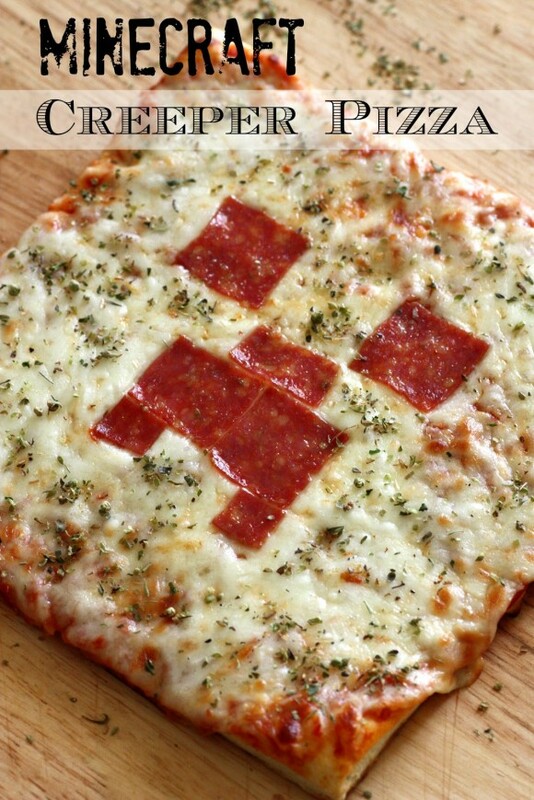 Have your guests cut a round frozen pizza and pepperoni into squares and transform them into a Creeper! Set up a backdrop and get some fun Minecraft props to take some memorable photos of your celebration! 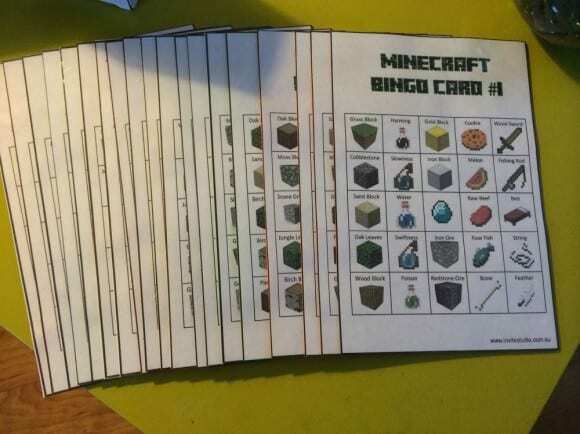 Make up some bingo cards with Minecraft items on them and have an exciting party game! 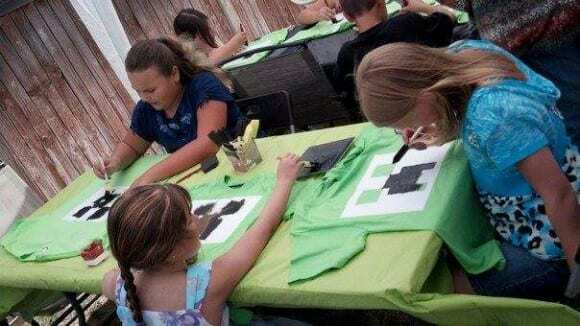 Get some green shirts and black fabric paints and your guests can make their own Creeper shirt! Hope you enjoyed these fun Minecraft party activities! 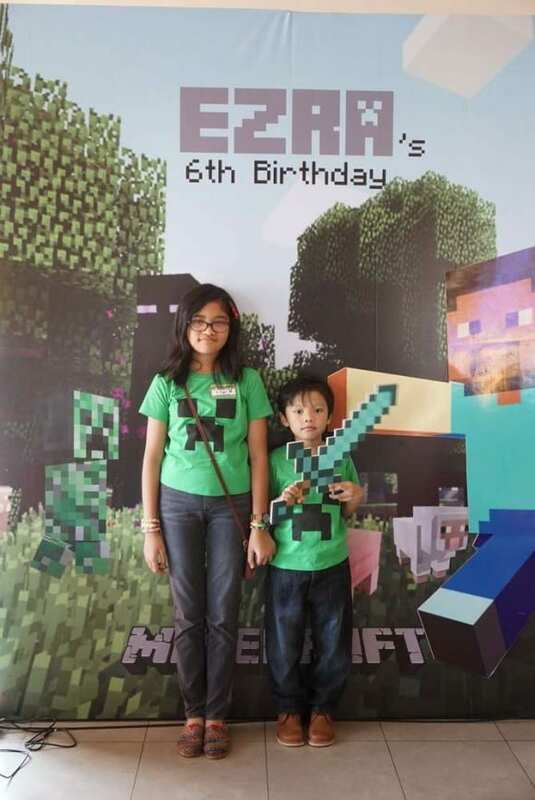 For more ideas, you can check out all the Minecraft parties on our site and our Minecraft Pinterest board, too. 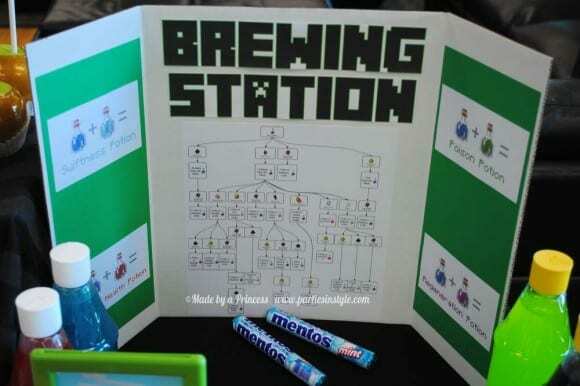 And if you need free Minecraft party printables, we've got those too!